Staffing and recruiting professionals working in the health care sector now have the opportunity to truly differentiate themselves in this increasingly competitive staffing industry vertical. The Certified Health Care Staffing Professional program features rigorous content focused on employment and labor law at the federal level for health care staffing and recruiting professionals. 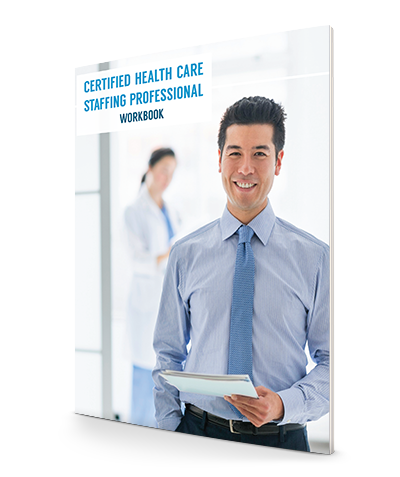 It is the essential credential for health care staffing professionals, certifying their expertise to work with both employees and clients within the bounds of federal laws and regulations. Developed by a team of attorneys, leading staffing firms serving the health care sector, and professional development specialists, the CHP credential is by far the most comprehensive and sector-specific credential available to industry professionals right now. The timed, two-hour online exam consists of 120 true-or-false and multiple-choice questions. When you are ready to take your exam, use the exam ID and password that were sent to you when you ordered your certification materials. Your exam is valid for one year from date of purchase. 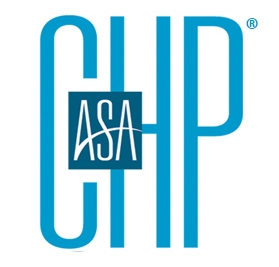 If you do not pass the CHP exam, you may repurchase the exam (for a discounted rate within 90 days) through the ASA Store. You have one year from the date of this new purchase to study and attempt the exam again.